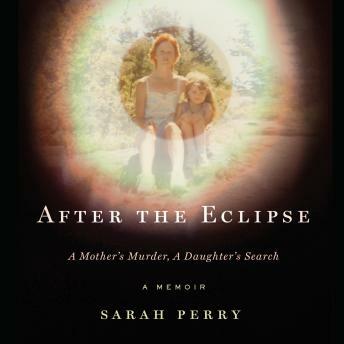 When Sarah Perry was twelve, she saw a partial eclipse of the sun, an event she took as a sign of good fortune for her and her mother, Crystal. But that brief moment of darkness ultimately foreshadowed a much larger one: two days later, Crystal was murdered in their home in rural Maine, just a few feet from Sarah's bedroom. The killer escaped unseen; it would take the police twelve years to find him, time in which Sarah grew into adulthood, struggling with abandonment, police interrogations, and the effort of rebuilding her life when so much had been lost. Through it all she would dream of the eventual trial, a conviction-all her questions finally answered. But after the trial, Sarah's questions only grew. She wanted to understand her mother's life, not just her final hours, and so she began a personal investigation, one that drew her back to Maine, taking her deep into the abiding darkness of a small American town. Good read and great narrator.